Title Horseshoe Decals, Horseshoe Sticker. Self-adhesive, die cut Horseshoe vinyl decal ready to apply to any smooth surface. There is no background, what you see in black is the actual Horse shoe Decal , pre-masked and ready to apply. 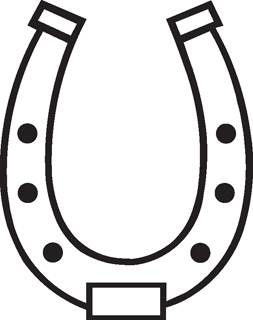 Click here for more Horseshoe Decals.